Been in use since 1847, the St. Lawrence Ground is one of the oldest cricket grounds in the world. 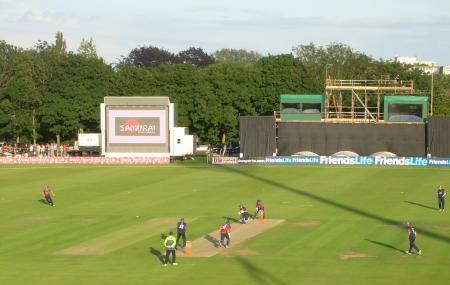 Home of the Kent County Cricket Club, the ground is also known as the Spitfire Ground. Check the official website for match schedules and catch a thrilling game of cricket in action. Check the official website for the schedules before planning a visit. Bus stop near main gate of the ground. How popular is St. Lawrence Ground? People normally club together Howletts Wild Animal Park and Dane John Gardens while planning their visit to St. Lawrence Ground.